Get this girl her own Marvel series. 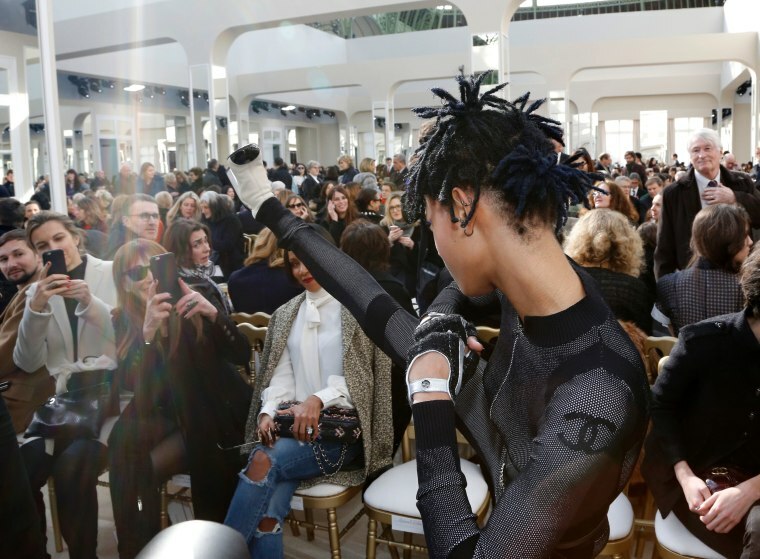 Willow Smith has never attended Paris Fashion Week before, but the youngest Smith is not one for stepping timidly into the ring. 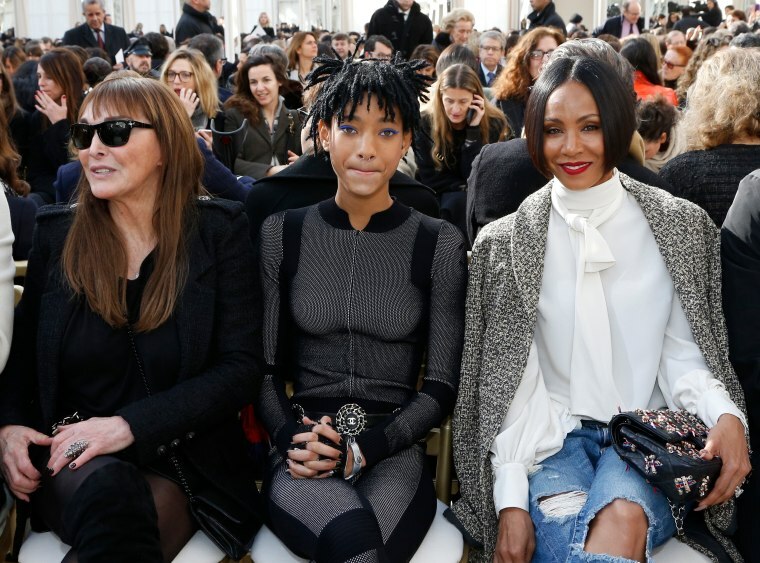 Willow showed up to Chanel's presentation today arm-in-arm with her mother Jada, dressed as a modern day sartorial superhero in a one-piece Chanel bodysuit that wouldn't be out of place in a Marvel comic. The monochromatic look was accentuated with a stripe of thick blue liner, and an embellished belt. She even offered photographers a high-kick, because what can't she do?